That is a screenshot(actually I just took a picture of my psp) of my Playstation 2 Psp project called "Psxxx", I recently started a new job which may prove to be too demanding for me to keep up with the homebrew scene; after making a few suggested improvements and cleaning up the code a bit; IM gonna turn it loose on world, and hopefully someone will develop a full featured emu. I've been holding off on releasing a version of this and kind of keeping the development a secret because I wanted to wait until I had something worth showing anyone in the first place; Thanks go out to Zad3r for fixing many of my mistakes, and doing almost as much as I have for this project. Theres two seperate zips, one regular and the other hard coded for FFVII isos(Three Seperate eboots). 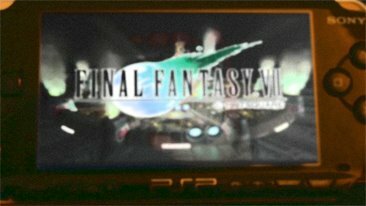 the source for both will be included in the Zip they are tested and working for PSP firmware 1.5 only. * There is no audio support. * Many roms won't boot. * Most other roms have serious graphics problems. Like the new N64 Emulator "announced" yesterday its best to not get over excited at this point but fingers crossed its the start of a very Cool new PSOne Emulator for the PSP.